Covering more water or fishing more thoroughly? Whereas in some cases it might be fruitful to stay at a promising place and fish it as thoroughly as possible, on a few occasions this did not bring success. I tried to wrap around my head on what the reasons for this are, but the only point of reference is that the following two examples are late in the season. 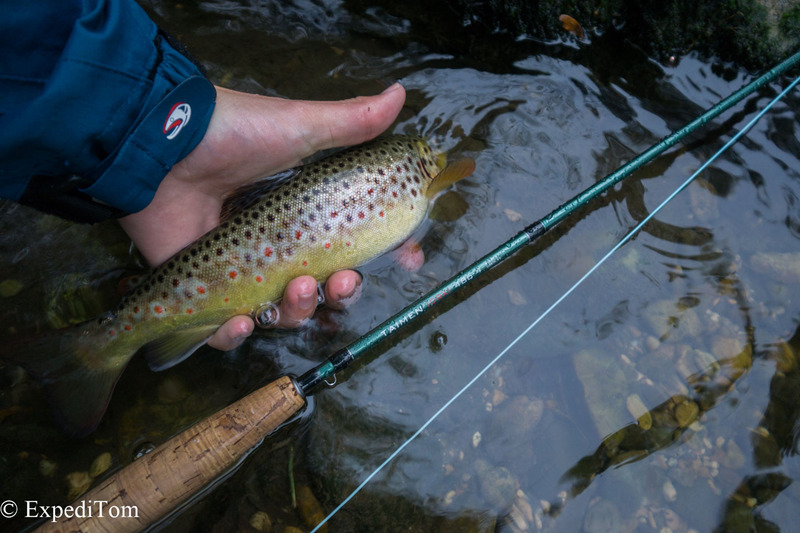 Hence, it might be that the earlier the season, the longer you should stay at a pool in order to maximise the chance of drifting the fly suitably for the fish to take. Or perhaps the trout saw your fly a hundred times swim by and thought it is a hatch. 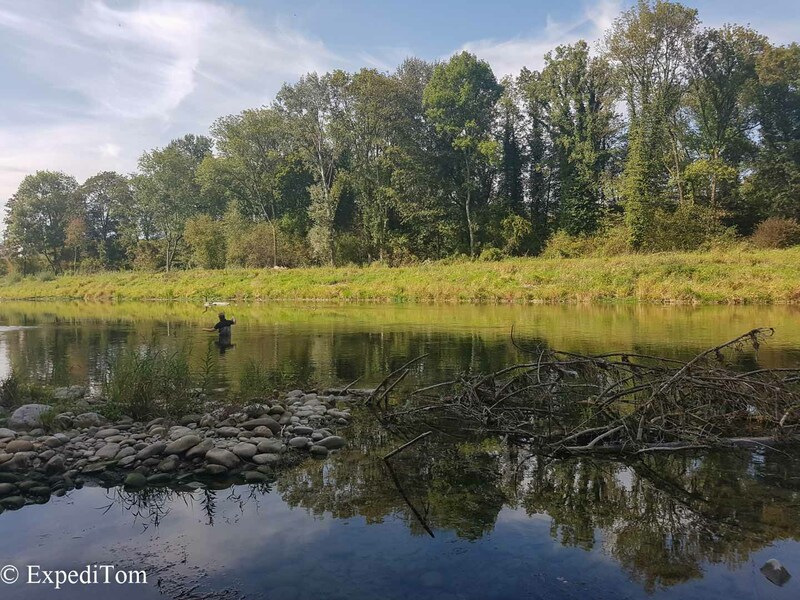 It was the last day of trout season 2017, when I fished again the nearby canal that had surprised me this year. The water was frighteningly low and I felt that my usual spots were not deep enough anymore. Therefore, I waded further than usually. By moving on, I covered more water and eventually arrived at a pool that produced three trout in a row. It seems that the low water level had pushed them to the deepest parts of the river. 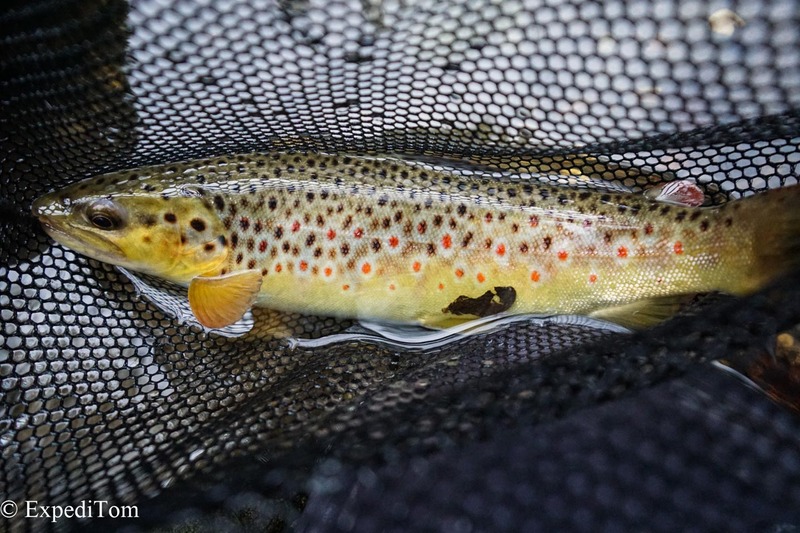 Swiss brown trout from the canal – amazing how beautiful fish can grow in such a ecological wasteland. Caught with the Taimen DRX rod. As local fishermen and women know, the Aare river can be moody. At this particular day, André and I fished for several hours without any sign of a fish. Not even the chubs that roam this waters frequently were there. Somehow it felt all wrong but the water level was alright. Hence, we continued upstream and covered lots of water. When we eventually approached another deep riffle, André finally caught a fish. After he had caught 2 trout in total, I managed to land one too.